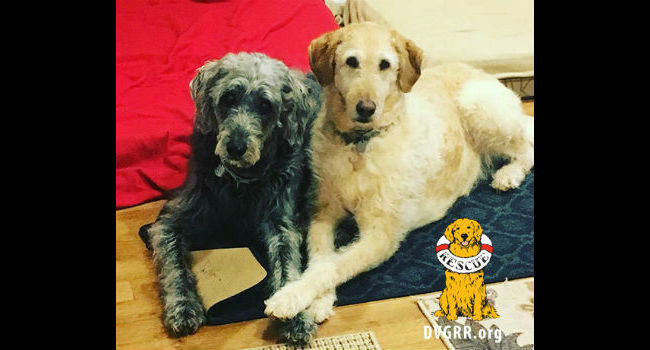 Adoptable Bonded Pair is a Double-Doodle Deal! Max & Ben are doing double Labradoodle duty to steal the heart of some lucky adopter! Max & Ben are a bonded pair and will make the most wonderful addition to some lucky home! That’s what some lucky adopter’s going to get with Max and Ben, two bonded Labradoodles who were relinquished to the Delaware Valley Golden Retriever Rescue in Reinholds, PA. This adorable pair of seniors — Max is 10 and Ben is almost a senior at 6 — is waiting for its forever home as a cheery, fluffy team. Thanks to a grant from the Grey Muzzle Organization, Max and Ben got all the specialmedical care they needed. Max even went through Lyme treatment and is doing really well! He still shows a bit of stiffness, but that doesn’t stop him from enjoying his walks. Ben is a big, handsome boy that has some obedience skills — but will benefit from a refresher course. Both like to play and chase tennis balls. DVGRR thinks that Max is part cat because he loves to rub his head against people’s legs and grooms his brother, Ben! Staffers here love them, but would love it even more if they could find a wonderful home in which to live out their years. Read more about them here at the DVGRR website. 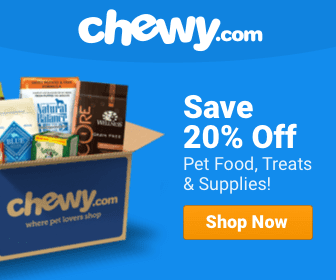 Why Dogs Are Perfect Helpers! I would very much like to adopt this bonded pair. I lost my pup three months ago – she was 13 and had congestive heart failure, I have a 12 year old cat who is living relatively well with liver failure. I don’t know how the dogs would do with me as I work 4 days a week / out of the house 8 hours. I would hire a midday walker for them. I also live in Denver, Colorado and would have to drive to PA to pick them up.